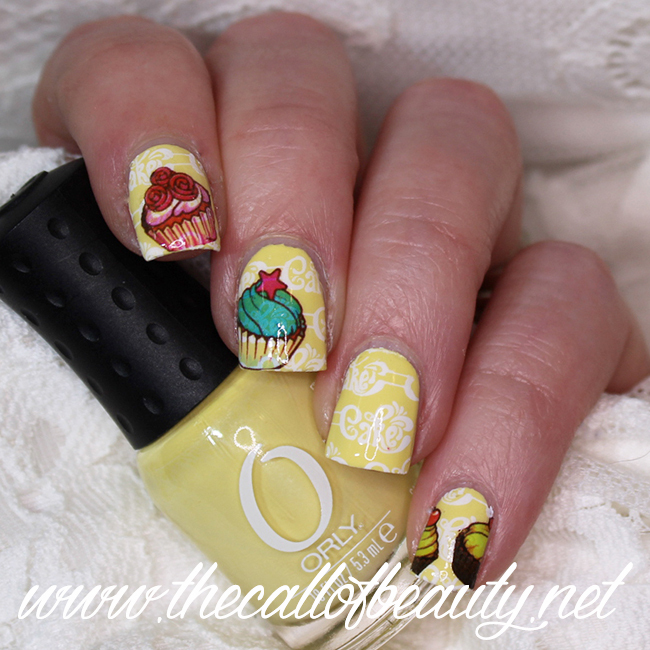 Today prompt for Nail Crazies Unite group is sweets. 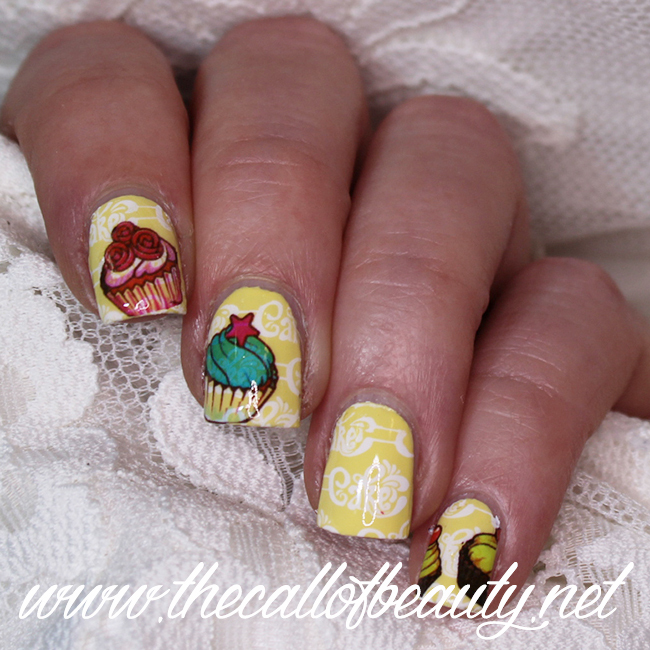 I don't remember that I did a cupcake nail art I chose to do this theme. 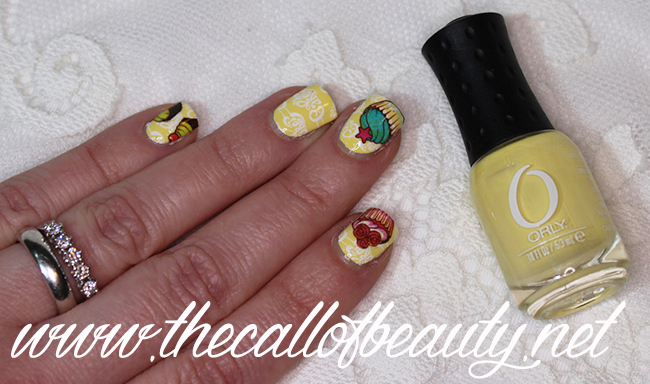 For my cupcake manicure I started from a pastel yellow base and I stamped in white the word 'cake' from Harunouta L-021 plate. This plate would have been perfect for my whole manicure but I was a lazy lady and I preferred some water decals. 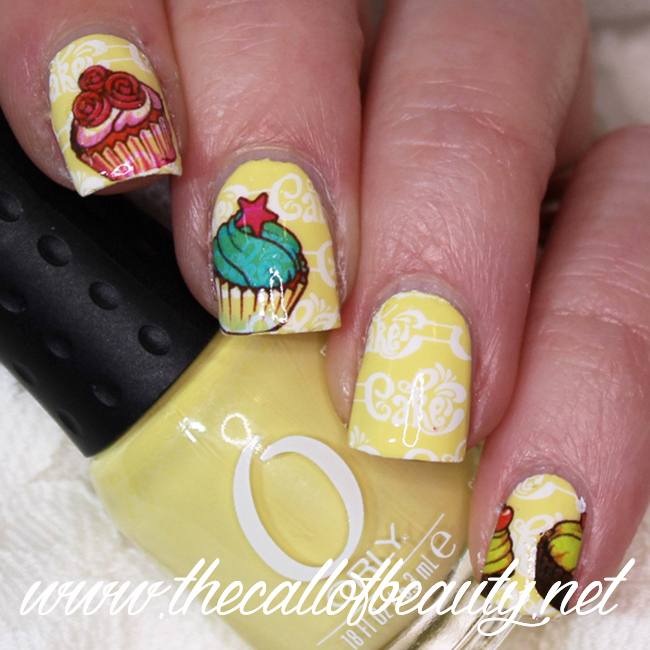 I chose BPY-30 from Pretty that fit nice, those cupcakes are sheer but are still visibile on a pale base . I let my ringfinger without decals to leave the 'cake' clear. Il tema di oggi per il gruppo Nail Crazies Unite è dolcetti. Visto che non mi sembra di aver mai fatto una nail art con i cupcake ho scelto questo soggetto. Per la mia manicure cupcake ho scelto una base giallo pastello e ci ho stampato in bianco la scritta 'cake' dal disco Harunouta L-021. Questo dischetto sarebbe stato perfetto anche per completare la mia manicure, ma sono stata troppo pigra e ho preferito usare delle decalcomanie ad acqua. Tra le tante che possiedo la serie BPY-30 di Born Pretty si è rivelata perfetta, anche se i cupcake sono molto trasparenti si sono dimostrati visibili anche su una base non bianca ma comunque chiara. Ho lasciato l'anulare libero da decori per far leggere bene la scritta 'cake'. This is so cute! 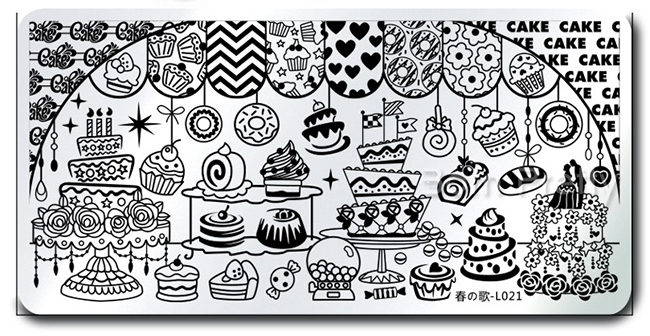 I lreally love the yellow and white stamped background you picked for the cupcake decals! That new plate is so cute! Those decals were perfect! I love that they worked so well with the stamping! 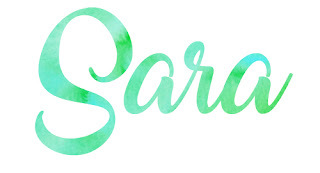 Really lovely and cute decals! I am for the lazy manicures LOL!